Duo-cart means “It’s a Match”. 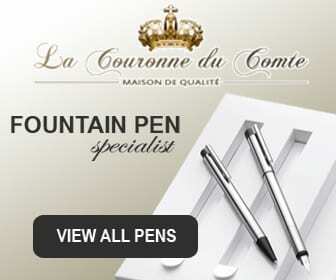 Perhaps Aurora puts these fountain pens on the market in two colours, one for her and one for him? That might be true if you are traditionally set, gold & red would be for her and silver and black for him. The romantic idea is that you send each other passionate letters. Beautifully handwritten of course with your own Duo-cart. Or does the name come from the fact that the barrel of this fountain pen fits two cartridges? But it can also be different. Even though I am a man, I find the gold with red fountain pen much more pleasant than the silver and black. I know that there are people who swear by traditional black fountain pens, but I like a coloured one now and then. 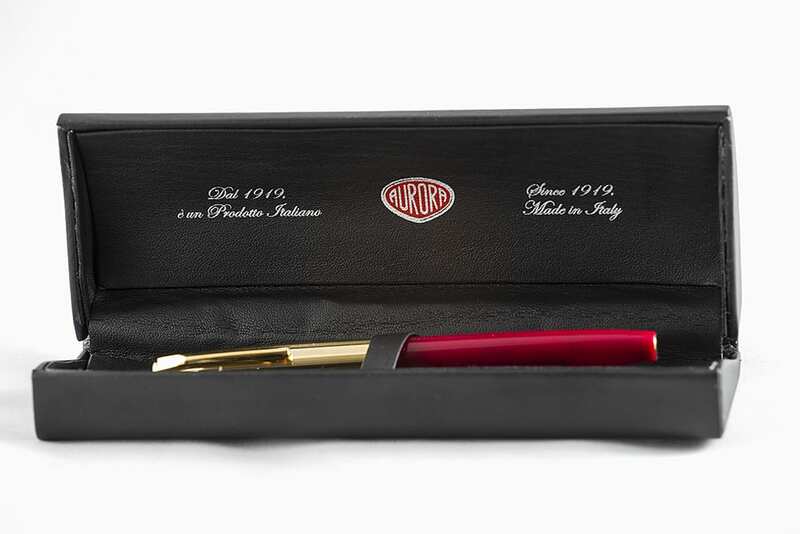 The Aurora Duo-Cart is offered to celebrate the launch of this pen 60 years ago. 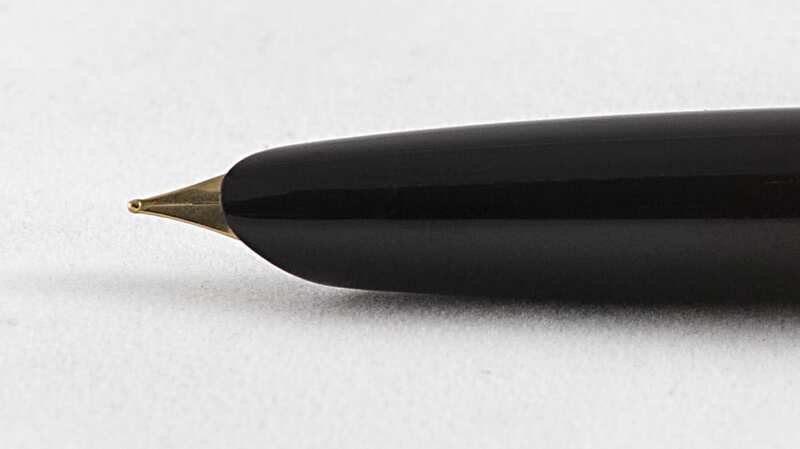 It is a so-called “hooded nib” fountain pen, in which the nib is largely enclosed by the nib holder. There are two advantages with hooded nibs. One is for the manufacturer, the nibs are smaller and therefore require less material. The other advantage is for the writer, the nib enclosed by the pen tip holder dries out less quickly. This allows you to use the fountain pen longer, even if you don’t write for a while and don’t put the pen back into the cap immediately. The mother of all hooded fountain pens is of course the Parker 51 from 1941, the most sold fountain pen in history! Not long after the introduction of the Parker 51, all fountain pen manufacturers started producing their own hooded fountain pens. Aurora brought the Duo-Cart to market and was able to pick up a nice piece of the market on aerodynamically shaped hooded fountain pens. 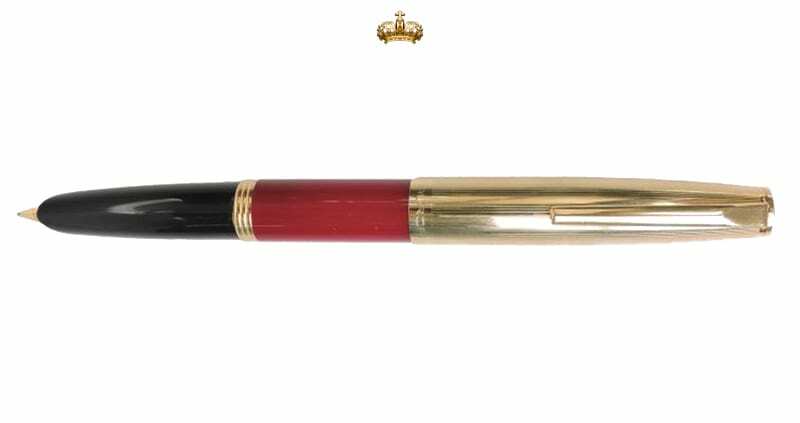 In 2002 Parker put her own jubilee pen on the market, which I find very beautiful and is also very high quality. But for a pen that cost around 750 guilders at the time, that’s something you might expect. but later more on that. Did the Duo-Cart anniversary succeed as well as Parker 51 from 2002? I think the Italians offer a beautiful pen for a reasonable price. But with this pen they did not achieve the same quality level as Parker with its 51 from 2002. 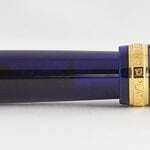 Aurora makes many fountain pens in the upper segment, but you usually have to pay a lot for them as well. I have an old Aurora Optima myself and I am very pleased with it. The Duo-Cart is a pen from the middle segment and for that price you get a very nice new “vintage” fountain pen. The Duo-Cart comes in a beautiful box. The Italians know how to package a product tastefully. The pen really feels like it is from the 50-60s. This is something I can really appreciate. How does the Duo-Cart write? It writes really well, you can make all the movements and curls without hesitation, even the diagonal ascending movements that are difficult for many fountain pens. With the Aurora Duo-Cart you can write those without hesitation. The cap is without a doubt the most beautiful part of the pen, with a nice clip (much more subtle than the original) and the straight, upright lines make this fountain pen look chic. The red plastic could have been a bit darker for my taste. Now you can see the shadow of the internal work. The thing that’s very stylish on the other hand is the golden end of the holder, which fits well with the cap. The closure is formidable, the cap clamps subtly to the centre part of the pen. The fountain pen is a bit heavier than you might think at first glance, because a metal sleeve has been incorporated in the holder. The holder is also wider that the original Parker 51 fountain pen. This means that the pen lies comfortably in your hand and you can write beautiful letters on the fountain pen with or without the cap posted, for example to your own “Duo-Cart”. 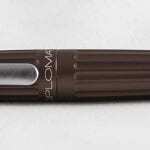 You can fill this fountain pen with the regular international fillings, Aurora also ships a converter with it. It takes Parker Standard ink cartridges, not standard international.